THE FREE CHOICE E-ZINE: HUGH MONN, PRIVATE DETECTIVE NOW AN AUDIO BOOK! I am usually the last to toot my own horn, but it's time to strike up the band. 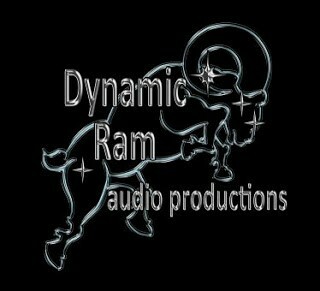 There are several milestones any writer hopes to achieve within their life and career, and thanks to the folks at Dynamic Ram Audio and Pro Se Productions, I have just reached another one. 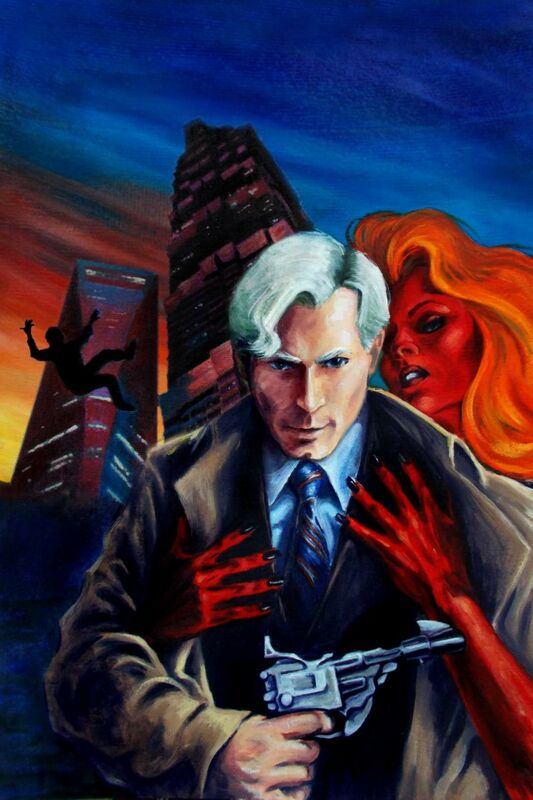 The first book I ever had published, let alone the first installment within the HUGH MONN, PRIVATE DETECTIVE series, has just been released on audio! Read and narrated by voice actor Pete Milan with engineering by Chris Barnes, this audio file is a complete and unabridged presentation of all eight stories that appeared in the first Hugh Monn book in a seven and a half hour production that can be played on your Kindle, Iphone, Ipad, Android, etc. 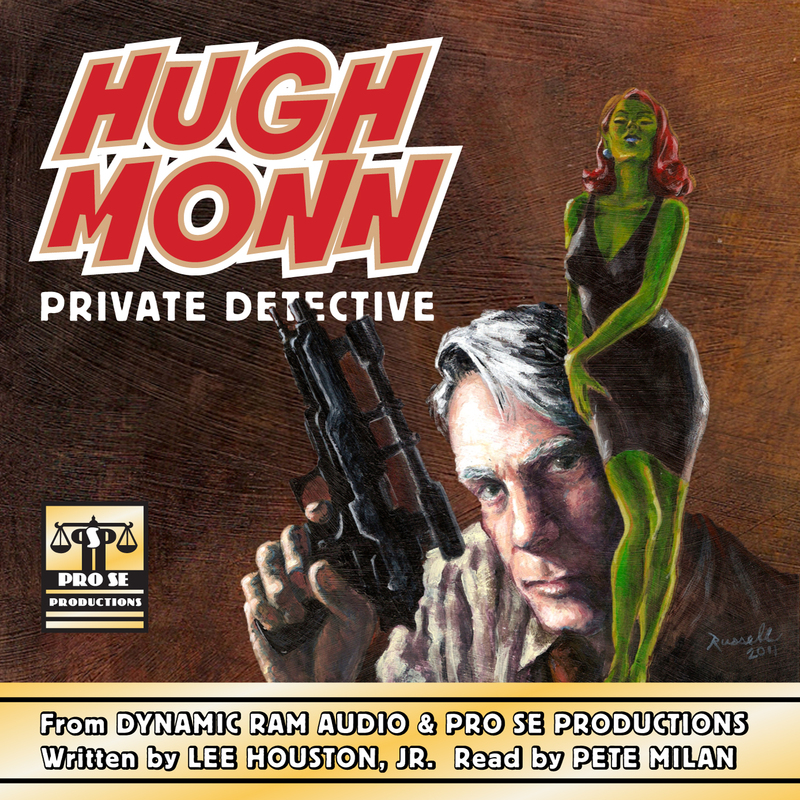 “Pete Milan,” says Tommy Hancock, partner and Editor In Chief of Pro Se Press and the publisher's new Voice of Pro Se imprint, “channels the voice of Lee Houston’s Hugh Monn perfectly. The Voice of Pro Se debut release, Hugh sounds like a 1950s type detective, but plies his trade in a futuristic setting. In just the same way Lee blended those two things seamlessly together, Pete’s take on the stories has the nearly hard boiled edge you’d expect from a great PI tale, but there’s also that flexibility a good science fiction tale demands of a narrator. Hands down, the team of Milan and Houston make HUGH MONN, PRIVATE DETECTIVE an audio book must have. And of course, don't forget that the next book in the HUGH MONN, PRIVATE DETECTIVE series will be coming out soon as Hugh is hired as a security consultant when actress Ruby Kwartz comes to the island nation of Galveston 2 to record a new vid. But what was supposed to be an easy assignment turns deadly when Hugh discovers that everyone around Ruby has a hidden agenda, and someone wants to make sure this production will be her last. So I hope everyone is looking forward to CATCH A RISING STAR, which is not only Hugh's latest caper, but is also his first full novel length adventure.